What Citrix technologies are most important to your work? What are the biggest technology challenges you deal with and how do Citrix technologies help resolve them? Within the last few years, the number one biggest technology challenge that my focus has been on with the larger enterprise environments is availability. And what I mean by that is Active\Active or Active\Passive, or hybrid on-prem and public cloud environments where customers are looking to design and fix a potential issue by building and extending their Citrix footprint to other sites and use the various Citrix capabilities underneath to direct users where they need to go in an efficient and effective manner. Most of my 2018 and now 2019 projects involved either multi-site or single site/multi-zone build-outs. Being able to provide this capability now (with feature parity in many areas fixed from the XenApp 6.5 days in past releases) by using the High Availability and Aggregation StoreFront capabilities such as Optimal Gateway Routing, Zone Preference and User Settings (homing), etc., along with GSLB, allows us to do anything we want from a design standpoint and get users to their apps and desktops the most efficient way. Another area and challenge where I am tasked with design and build within the Citrix arena, that is really on the uptick, is vGPU capability within Citrix desktops and applications that require it. Specifically, for me, it has been NVIDIA GPUs and providing this capability to a subset of these larger environments for either Windows 10 desktops or certain key applications or both. This capability and partnership between Citrix and NVIDIA solves a unique challenge that was nearly impossible a few years ago. 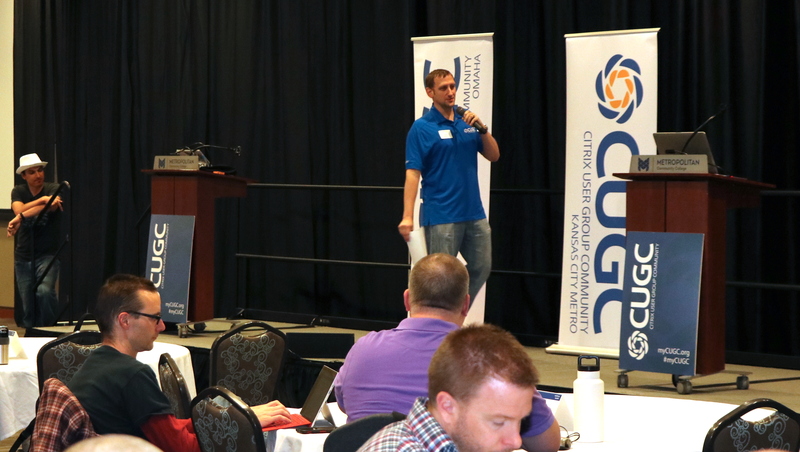 Tell us about leading the Omaha CUGC and what that experience has been like. It’s been quite an awesome journey. I remember meeting with James Ma in the community booth back at Synergy 2014 or 2015 (whenever this all kicked off) and they were touting this whole new Citrix user group concept and recruiting leaders to step up for the local user groups. I immediately signed up because, for me, local community involvement is probably my number one most important thing. 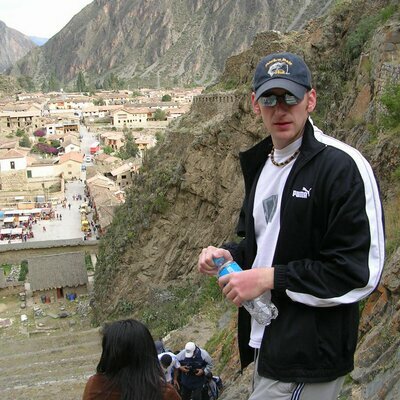 I am a lead for a couple of different user groups here in Omaha, and enjoy the social and networking aspect and bringing some fun to the local Citrix community. It’s been a fantastic journey since then, as we have not missed a single quarterly meeting in the nearly four years since. We kicked off formally on the CUGC site on July 22nd, 2015. The success of our group, and most groups, starts with having a solid nucleus of team leaders who in turn make sure that there are consistent quarterly meetings for everybody to attend. With my team–Steve Elgan (now on the CUGC Steering Committee), Ben Tusa, and Ryan Revord–having all been here from the beginning, that consistency in having a lead time on top of things from the beginning is critical to having consistent turn out and success in our local meetings. As I sit here and write this, we are gearing up for our Q1 2019 Omaha CUGC meeting that kicks off tomorrow! Although our registered/joined user numbers keep increasing, our overall attendance numbers have been consistent, so not a ton of fluctuation one way or another. Actual attendance numbers are the most important, as they drive sponsors and presenters wanting to come speak. So, for us, keeping that consistency in numbers is #1 priority. Mixing things up sometimes with venues and/or events has been a good recipe to keep things fresh. It's been a fun ride so far; quite a bit of extra work as quarterly meetings seem to come around faster and faster these days, but worth it in the end when we get to a meeting and start having that interaction and seeing our local community enjoy themselves and learn. What are you most excited about for the upcoming Great Plains XL event in April? With our KC and Omaha groups here being the guinea pig a few years back for the first combined XL meeting (yes, we had to figure out what they would be called even), we have really been able to hone in on the recipe for a successful XL conference/meeting over the last two events. That formula has now made it possible for many other regions to have their own XLs, which is something else we are happy to say we helped to be a part in creating. Jennifer Gibbons and the rest of the CUGC HQ and Steering Committee team have been amazing to work with and of course, without them, it would have been impossible to get the first one kicked off. 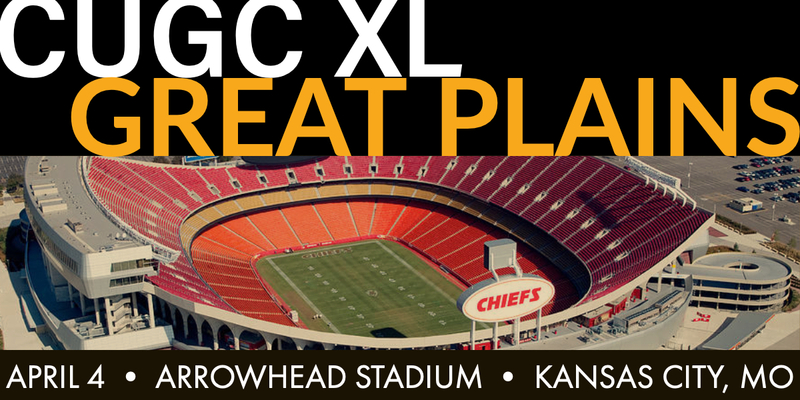 We are now looking towards our third annual Great Plains XL meeting, going down on April 4th at Arrowhead Stadium in KC. There are always hiccups and for us, it was figuring out what types of venues were conducive to this type of event. The first year was OK, but hardly awe-inspiring with the venue. The attendance was great (I think 150-170 overall) which allowed these events to move forward out of our trial stage, but the venue wasn’t exactly what we wanted going forward. Our XL last year was fantastic as it was a held at a large community college that is a big Citrix customer here in Omaha, and then this year, of course, we are moving it to Jarian Gibson’s backyard in Kansas City. And for those of us who love football, we are excited about having it at Arrowhead, as this will be our first big sports-related venue. It was a big honor to win the 2018 CUGCY Award for the best XL meeting, as well as be on the big board for the third straight year for local team awards. We take great pride in keeping this thing rolling right along. What are you most looking forward to at Citrix Synergy 2019? For Synergy this year and as always, I look forward to hanging out with those colleagues and friends that I have not seen since last year. Some of you I get to see at Summit, PTEC or other conferences but others, it’s always Synergy. So many friends from overseas, and those of you who know me as a friend, know that I tend to like hanging out after hours until deep into the night having some fine water, yeast, hops and barley refreshments and discussing, well, anything. With that, Steve Elgan and I are putting together an informal/formal gathering at Citrix Synergy this year that you will be seeing an e-vite going out for soon. Some of you may know this as the #nitrocrew 😊 and a select few reading this were there last year with us every night ‘figuring’ it out. Synergy for me means working for 8-10 hours going to sessions, labs, meetings, helping out with whatever, etc. and then the play-hard part of the night begins. Rinse and repeat. As far as the technical side, I look forward to hearing more about the Intelligent Workspace at Synergy as that will really be the first time much is known that can be said publicly. With my schedule back home bouncing around between my awesome customers onsite here in Omaha, Citrix Synergy is invaluable for me to have the time set aside to attend the tech sessions and labs and take it all in. I look forward to seeing many of you in Atlanta! What's the best work or life advice you've ever received? Hmm. Well, I guess for me, I have always said there are two types of people in this world: those you can sit and have a drink with and just talk about whatever and those you can’t. I don’t spend any time worrying about the latter group and what they think about me. Finally, outside of work and CUGC, what do you do for fun? Hang out with my family and travel. My wife and I decided to start our family nearly 5 years ago, and even before that we loved to travel. The travel part of it has just shifted from annual overseas trips all over the world to beach vacations. We have hit Hawaii and the Caribbean five times in the last 8 years. 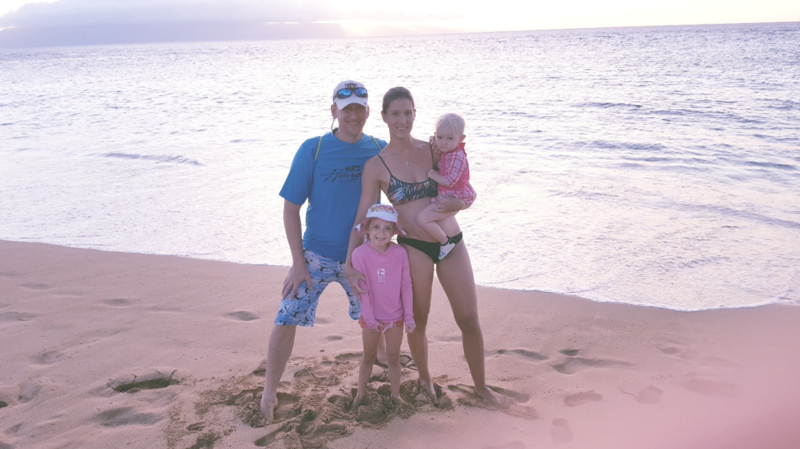 Having little ones now (19-month-old and 4-year-old) really makes the holidays and vacations all that more fun and exciting. We just have had to tame down the crazy trips (backpacking around Europe, etc.) and trade them in for a little less stressful beach resort fun!